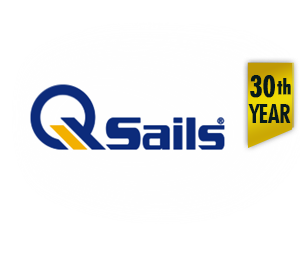 Q Sails was established in 1988 in Izmir on Turkey's Aegean coast, ideally located to service the South and West coasts of Turkey. From earlier experiences as a North Sails licensed manufacturer augmented by knowledge of the technical and practical aspects of sails and sailing along with this team, has promoted Q Sails to be the major supplier of quality sails in Turkey. Thus the 'Q' in Q Sails is synonymous with Quality. Q Sails reputation for impeccable attention to engineering detail, quality of construction and application of the latest technology to making sails, has made Q Sails one of the most respected Sailmakers in Turkey. Since many years Q Sails has developed a strong export business by support agents worldwide -mostly Europe. Over the years Q Sails have extended this reputation into Europe where we now export 50 per cent of our annual production. Local agents are available to provide you, the customer, support in getting the optimum from your new sails following delivery from our sail loft along with any additional fittings, accessories, etc. Q Sails mission is to offer a friendly, experienced and professional service to all boat owners using state of the art computer software to design bespoke sails for dayboats, cruisers, racing and mega yachts. This can be demonstrated by our growing client list with regular new orders from our existing customers. For our customers in Turkey Q Sails not only guarantee all our products and quality but also invite all our customers to return their sails to our loft for a free first year inspection. Any damage or normal wear-and-tear can be treated at the same time, combined with a wash and valet if required. For our customers abroad please contact us for our European Service Points.